The new Jaguar XF Sportbrake estate will join the saloon range in 2017, the company confirmed at the Paris motor show. 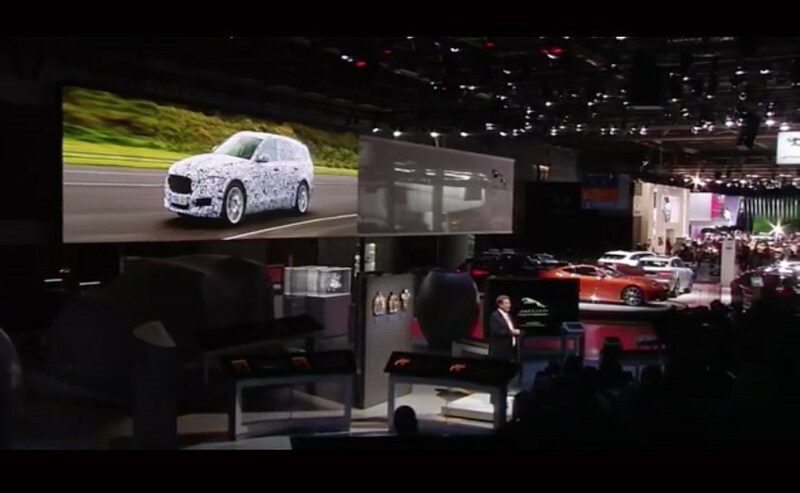 In an unusual step, company executives beamed its own spy photograph of the new wagon up on the big screens during the press conference. So what's new on the 2017 Jaguar XF Sportbrake? No prizes for guessing the formula here: while the Mk1 Sportbrake kept us guessing, the Mk2 will follow the same path - taking the XF saloon's aluminium-intensive underpinnings, a sprinkling of four- and six-cylinder power and the choice of rear- or all-wheel drive. Global sales director Andy Goss told reporters at the Paris show: 'It’s been difficult to disguise, as you can see. It’s currently testing on UK roads and we’ll show it in full next year .